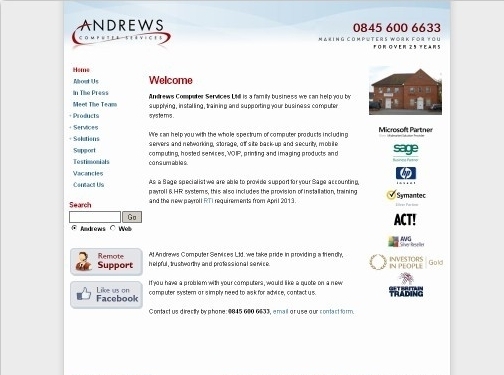 Andrews Computers of their services to a range of small to medium sized businesses across the UK, offerering hosting, technical support, programming and much more. UK (Hertfordshire) based company - established over 25 years ago - providing computer hardware and software, as well as IT support, to businesses. Website includes details of products and services provided, detailed "meet the team" page, testimonials, associations and accreditations, press mentions, full company contact details including company registration number.